Vibrant, talented, strong, and beautiful, Andrea Smeltzer seemed destined for a great future. But after a one-­year struggle with bulimia, she died in her sleep at age 19, catapulting her mother Doris into a wrenching but ultimately rewarding journey of discovery. This unabashed account not only speaks about one family’s tragedy, but also critiques the social and personal attitudes toward our bodies and appearance that create victims like Andrea. 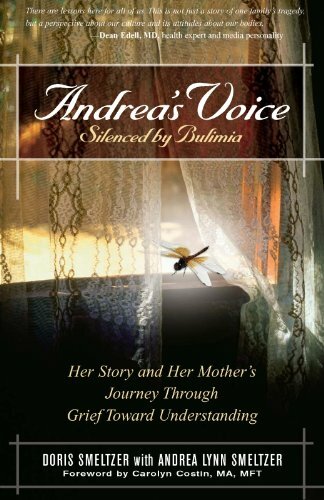 Andrea's poetry and journal entries, combined with her mother's reflections, offer insight and understanding about a crushing disorder that afflicts far too many young people.